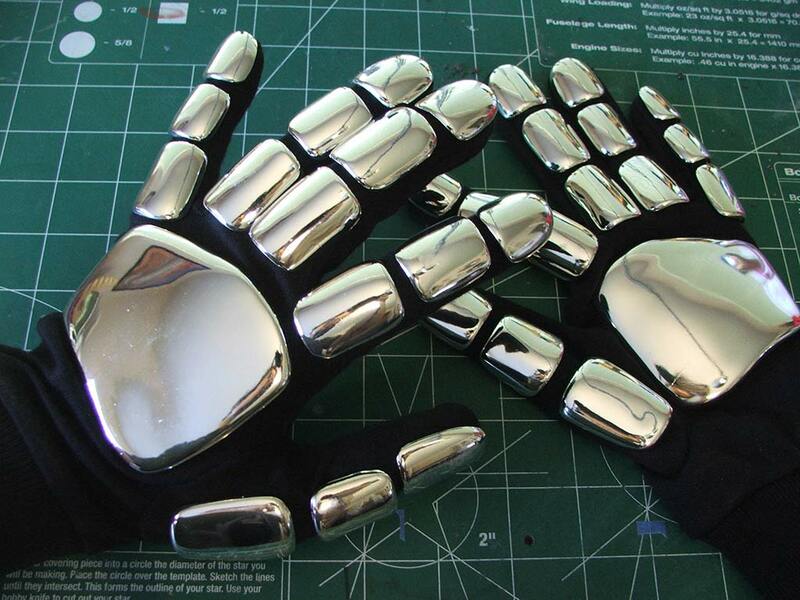 No DJ Duo is complete without matching gloves! 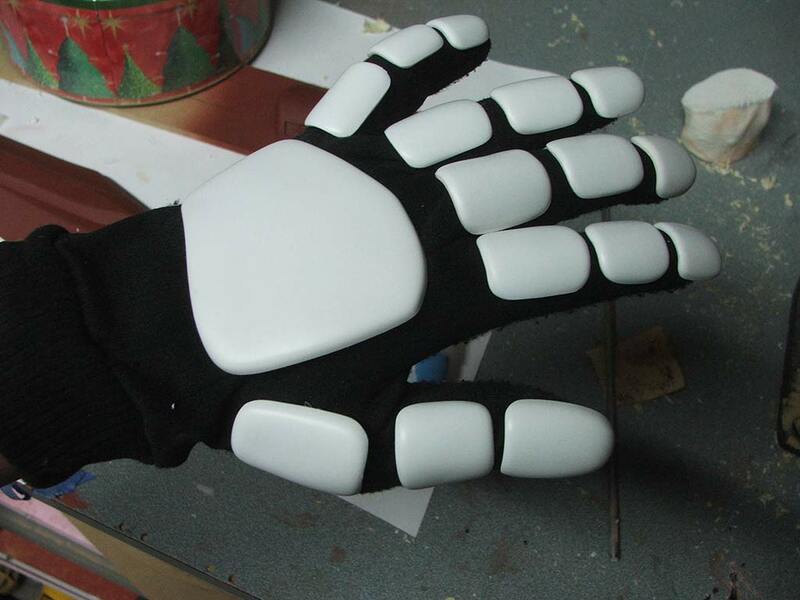 Complete your Guy or Thomas look with this glove plate kit. 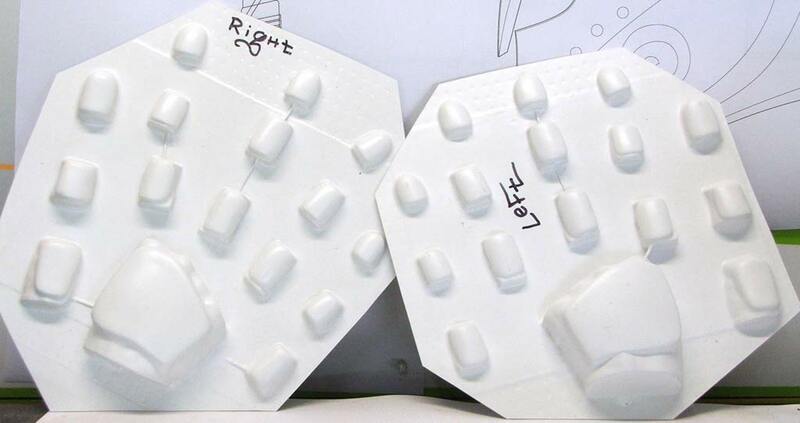 This kit includes two sets of finger plates vacuumformed out of .060″ white Styrene plastic. These will be shipped on a flat sheet and each piece will require trimming and light sanding in preparation for chrome or painting. 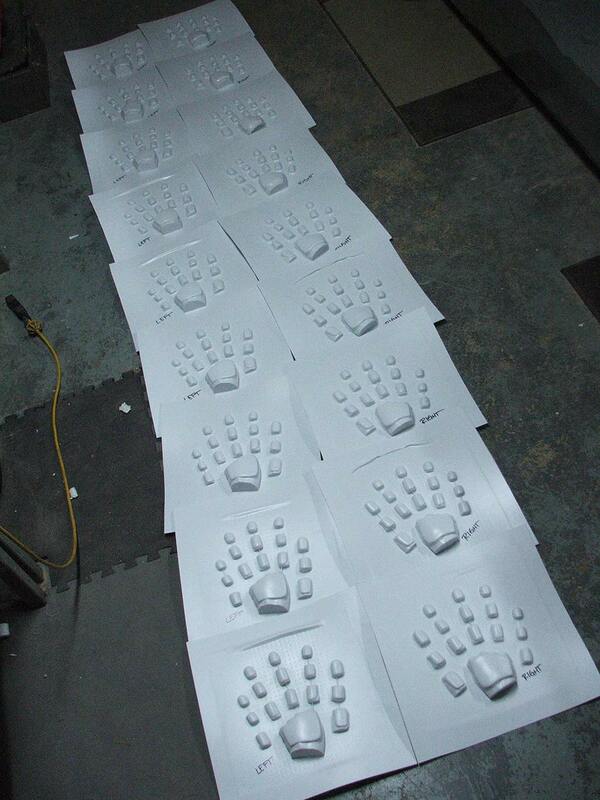 Click here for the Daft Punk Handplates design and build log.